If you’re like me, as soon as strawberry season hits, you want to put fresh strawberries in everything! Not that there’s anything wrong with that! Strawberries are 91% water, making them the most hydrating of all berries, so no wonder they’re such a refreshing summer treat. Strawberries also have the most vitamin C of all berries, and is also a great source of folate, a brain-building vitamin that is essential to keep your nervous system functioning properly. The easiest way to eat strawberries is, of course, to give them a quick wash and pop them straight into your mouth. And when they’re fresh and in-season, it can be tempting to do just that all the time, but don’t let their sweetness and bright colour fool you, strawberries are way more than just “nature’s candy.” Strawberries are an incredibly versatile fruit that are just as useful in savoury recipes and paired with a wide assortment of veggies as they are in the sweet dessert-type dishes we normally associate them with. In the spirit of strawberry season, I’ve gone through the blog to create this Joyous collection of “Strawberries’ Greatest Hits.” I hope you love these recipes as much as I do, and have fun incorporating delicious, fresh, seasonal strawberries into all sorts of dishes! Strawberries and beets are a great combo because their work synergistically together. 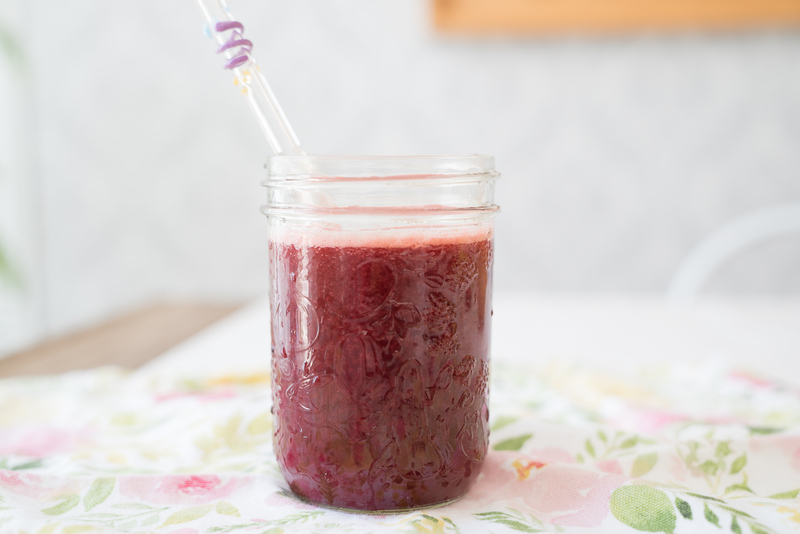 The vitamin C in the strawberries help you better absorb the non-heme iron in the beets, making this juice combo extra detoxifying! Red velvet cake is a tradition at many southern summer barbeques and celebrations, but the red food dye used to get that brilliant colour is not such a joyously natural option. I’ve revamped the red velvet cupcake recipe so that you can get that stunning red colour naturally from the beets and strawberries. 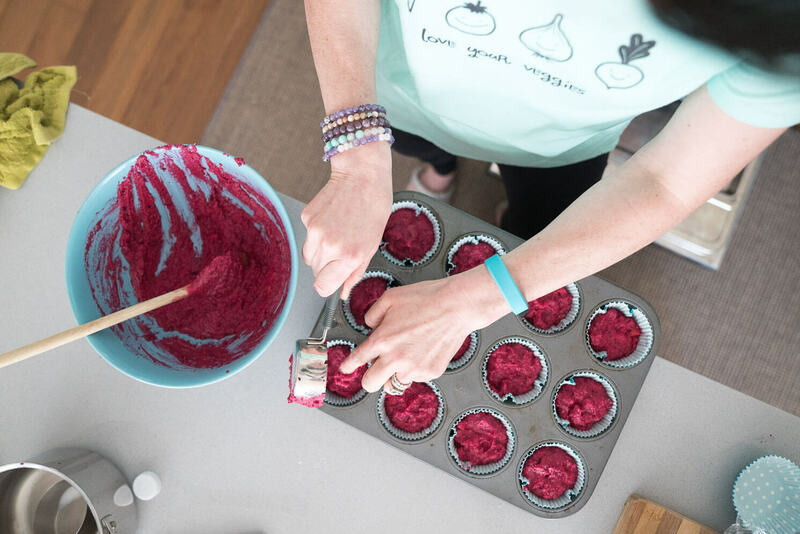 (Added bonus: the beets make for a way more moist and delicious muffin texture, too!) The end result is super delicious and so much healthier! 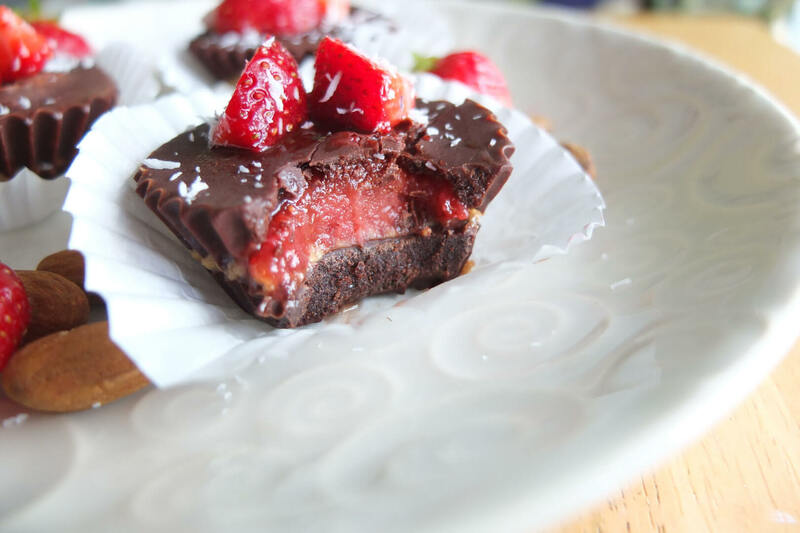 Like I said earlier, strawberries aren’t just for sweet recipes! 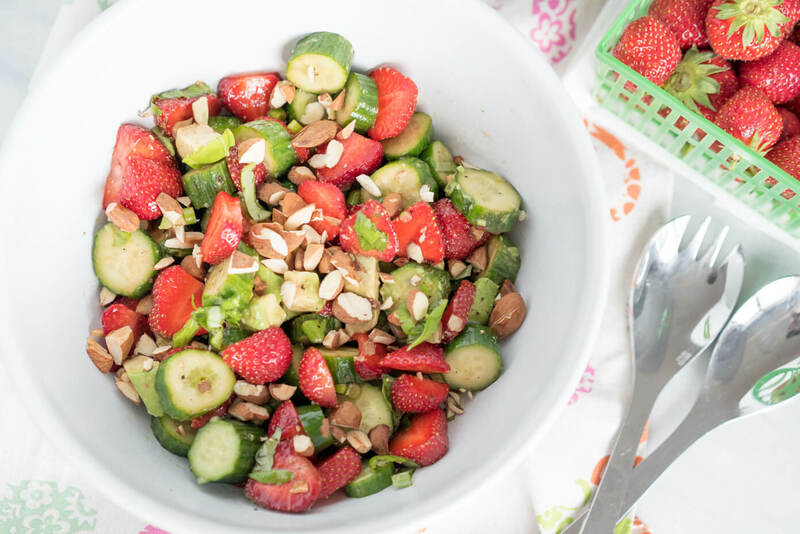 I’ve combined the most hydrating berry with the most hydrating food period – cucumber – for a refreshing summer salad that will be the guest of honour at any summer gathering! This “milkshake” brings all the vegans (and vegetarians, and omnivores) to the yard! 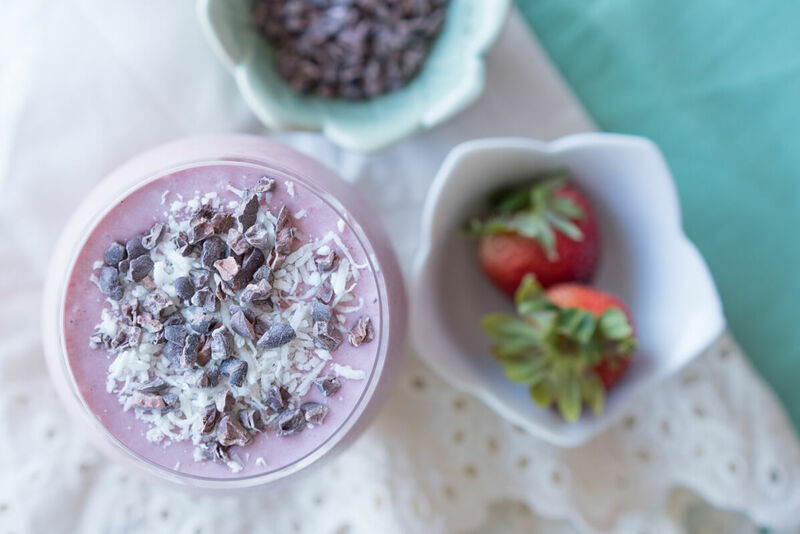 This dairy-free take on the classic strawberry milkshake is full of added fibre, so even though it tastes as deliciously sweet as any other milkshake, it will still keep your blood-sugar levels nice and balanced! 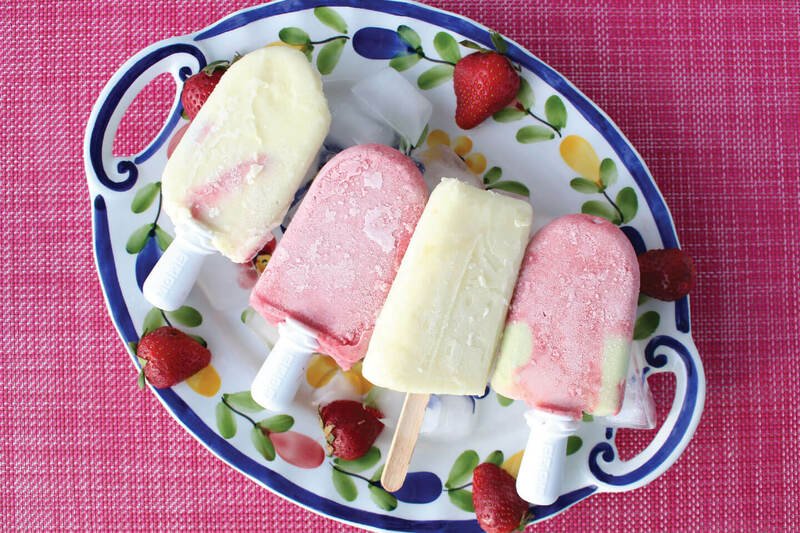 Is there anything more perfect for a summer day at the beach or by the pool than a fruity, frozen treat? But if you read your labels (and you should be! ), you’ll quickly learn that most store-bought popsicles are nothing more than sugar water with artificial colours and flavours, with nothing really fruity about them! The solution is to make your own. It’s lots of fun, way tastier, and this way, you’ll know exactly what’s in your treat without having to read the fine print! Probably not the most summer-friendly of all my strawberry recipes, but it’s just too good not to include it! You’ll need to keep these chocolate cups in the fridge until you’re ready to eat them, because the combo of coconut oil and chocolate makes them super melty, but it’s also what makes them super tasty! I hope you have a joyous strawberry season! What’s your favourite use for summer strawberries? Share it with me in the comments below!